Trading to much vs GM dooms Amateur Opening: D43: Semi-Slav Moscow Variation Player(s): Today's show: Grandmaster hits ICC 45-45 button and is paired with amateur. Playing fast, GM wins a pawn and gets good edge but endgame turns out to be problematic til the amateur gets the idea that trading off in that position is a good way to get a draw. Not! National Master Dan Heisman is a name that is synonymous with excellence in chess coaching and teaching. Dan authors the award-winning Novice Nook column (winner of three Chess Journalists of America "Best Instruction" awards), aimed at improving adults, for chesscafe.com that are clearly written and offer very practical advice and tips on how to improve your game. More info about Dan can be found here. 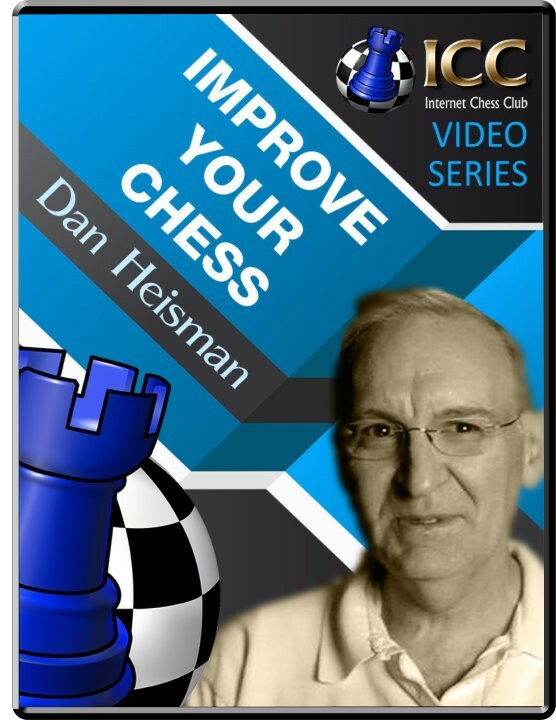 In the new Improve Your Chess series, Dan provides instruction by reviewing amateur games played on ICC and showing where the players went wrong and how to improve.